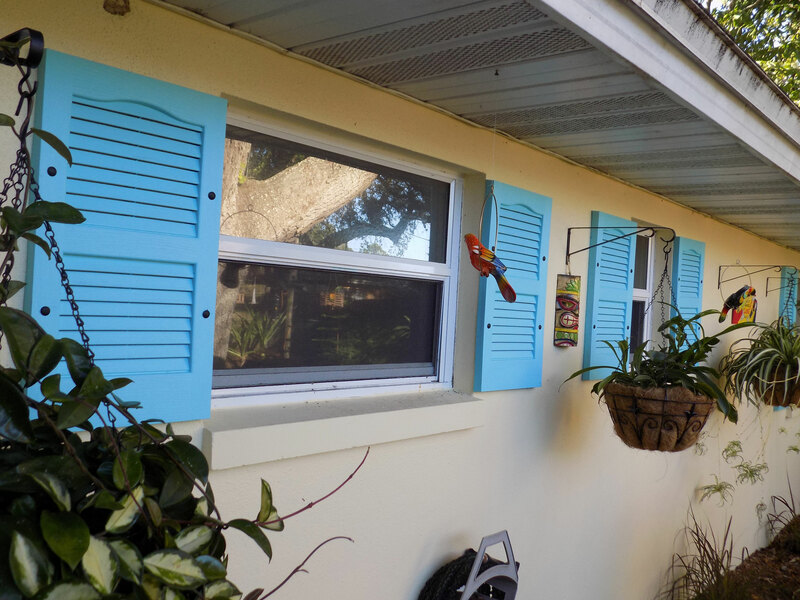 Vicki and Jeff from Dunedin, FL sent us a picture of their newly installed vinyl open louver shutters. Our shutters are easy to install, come in a variety of sizes, and are offered in many vibrant colors. You can also paint them yourselves just like Vicki and Jeff did! Check out the shutters Vicki and Jeff purchased with the link below! You can also explore our other wide variety of shutters with the following link.